Isn’t it amazing how a simple smile can improve your day? It improves our children’s days, too. Sometimes we get out of bed like cranky bears, grumbling and growling, and expect our children to be polite to each other. Perhaps it would be better to demonstrate love with a cheerful disposition! They will likely catch on and start smiling at each other. I have often played a little game with one of my grumpy children. If they don’t have a smile, I ask them if they lost it. Is it in their pocket? Did they leave it on their bed? Do they need to borrow one of my extra ones? Sometimes, I can even get a sibling to donate a smile, but then it might be too big. By the time we find their smile, they are giggling at the whole thing. Have you ever had someone correct you in front of a group? How did you respond? Did you accept the correction gracefully, or did you rise in indignation to defend yourself? I am not particularly in a repentant mood when backed in a corner. I am more responsive to a loving reprimand in private. Our children would likely be more responsive to a loving, private correction than a public display of our wrath. When they have done something wrong, speak to them alone and in a loving tone. We want them to choose to do right. 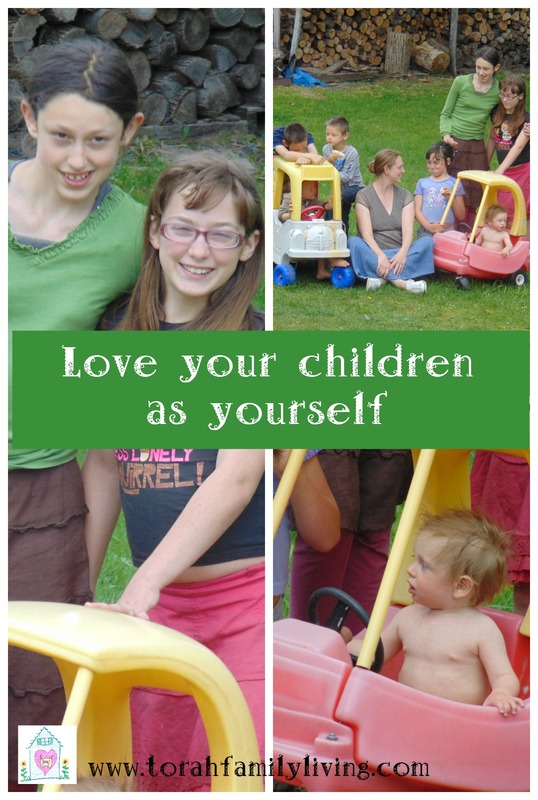 Correcting our children is not about putting them in their place or feeling good about ourselves as parents. We need to show them love by putting their needs first. One of the most loving things my husband does is encourage me to pursue my interests. He avidly supports my writing and my study of herbs. My daughter Naomi feels the most connected with me when I listen to her talk about her beloved flock of ducks and help her come up with ideas to improve their care. My son Isaac feels love when I praise yet another Lego creation. What interests do your children have that you can actively support? 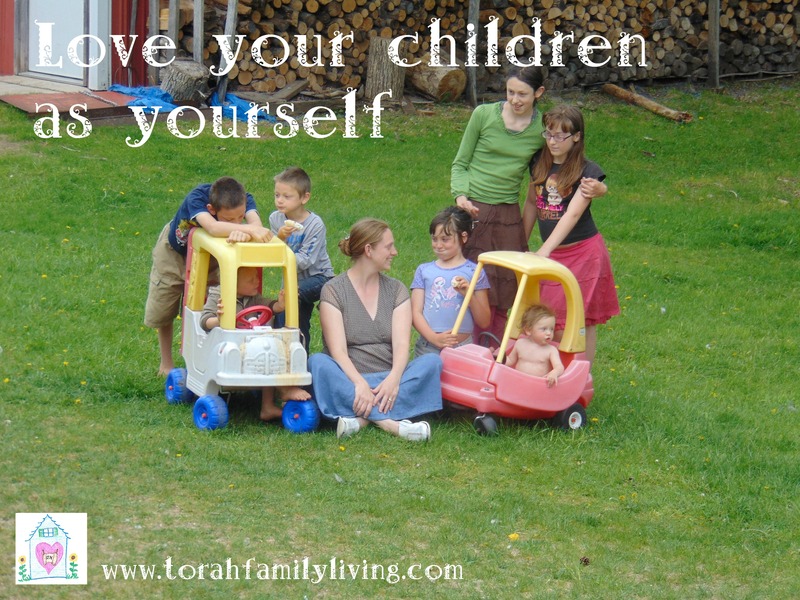 What ideas do you have for showing Torah love to your children? Please share your ideas in the comments so we can all work on them together! Now that you are looking at your parenting through a Torah lens, it’s time to take your parenting up a notch. Read “The Children’s Ketubah Project,” and collect a group of parents to work through the book together. You will be making a written commitment to Biblical parenting and helping each other to remain faithful to this amazing task. Get a great printable for starting discussions with your children based on their lessons or books they are reading when you sign up below.